I made this outfit a while ago and I finally got to take some photos of it last week! 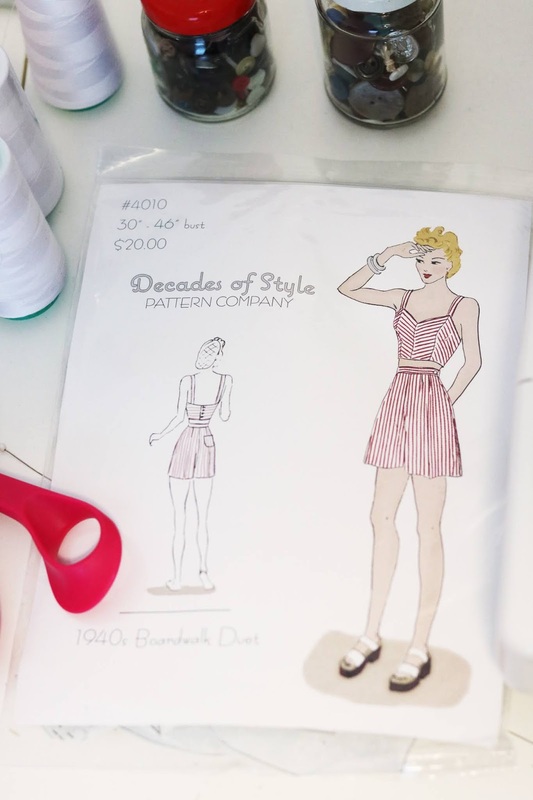 I love playsuits, matching sets, resort wear and anything beach related so I was pretty keen to get stuck into this Decades of Style sewing pattern a while ago. I was wearing a light dress over top on my way to the beach and failed to notice my strap twisted in the first section of the pics and one corner of the back of the top in the corner section tucked in but that's okay (it's just a lil bit annoying haha). This was a particularly warm Autumn day at the beach and I was not cold at all, yay! This top and shorts will be perfect paired with other pieces in my wardrobe too, love that! See below for more pics of this little me made outfit. 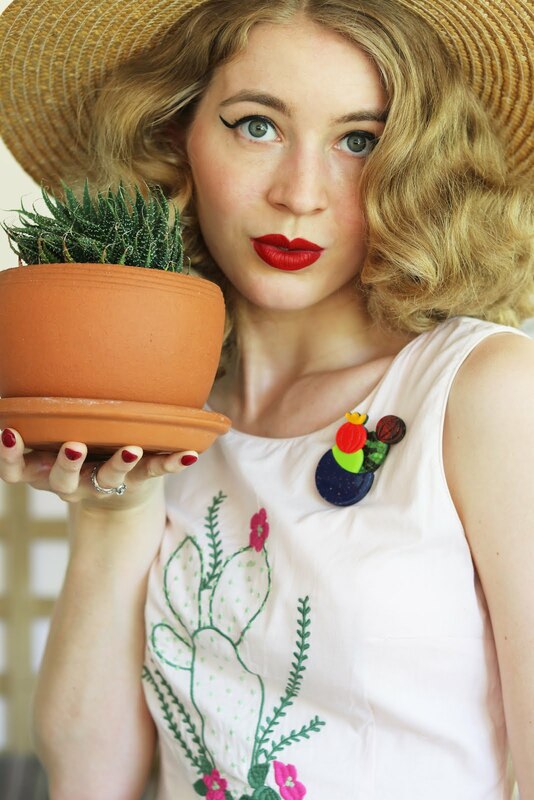 There wasn't much needed to alter this pattern but I did make just a few small changes, I didn't add the pocket and I made the shorts slightly shorter as they looked a bit busy with a longer length combined with the cactus print. I probably should have lowered the neckline by altering wear my strap length was sitting but it still sits in a nice position. The pattern was rather simple to work my way through, the top was quick to make though I took a little longer with the shorts. I usually make shorts that have back zip so this required a little more work and patience but the end result looks really nice, it's always good to set new challenges. I had a few issues just with the side opening placement in order for them to sit neat and just getting them in position but I think that was due to it being my first go making a pair of shorts like these, in the end they turned out to be quite cute, not perfect but I'm happy with them. Now that I have a better sewing machine that actually allows me to create button holes much easier this was a good project to put that to work and teach myself some more new skills. The button holes did not turn out to be the neatest but they still looked okay and are functional so I was pleased with that. 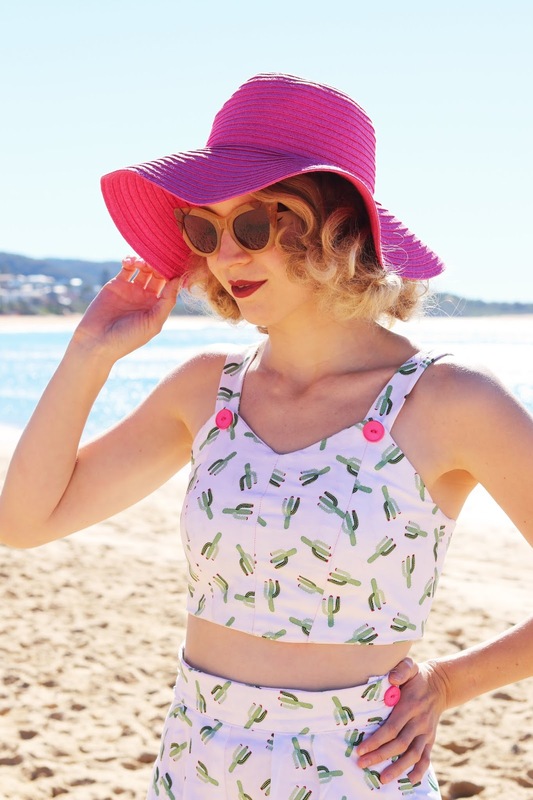 The fabric I used is this super gorgeous cactus print drill fabric from spotlight which cost me $8 or $10 a metre, it's beautiful breathable fabric that is quite sturdy too, ideal for shorts. I want to make many more things out of it, I think I have enough to make some sort of top so that will have to do. 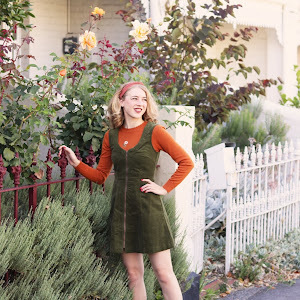 If you're not familiar with Decades of Style patterns check out their full range of vintage inspired sewing patterns via their website. I also blogged another of their patterns last year, check it out here! All in all I am really happy with how this set turned out for my first go and I'm sure that it will be even better next time. I love matching sets and playsuits too, and this is SOOO cute. I love all the buttons and calling attention to them with the bright pink. Looks perfect to me!